I spotted this on You Are My Fave last week and couldn’t stop thinking about it! Wouldn’t this be a fun for a Fourth of July party? 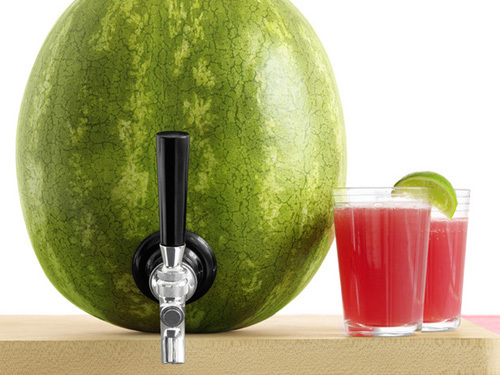 Scoop out the watermelon and have that with a barbecue, and then cut a hole to fit a keg shank. Fill with drink of choice (watermelon sours would be perfect, but any summery, pulp-free drink would do), et voila.